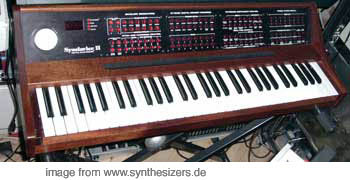 It’s made to trigger other analogue sequencers, so it can be sort of sequential switch. But I really hope it is not just a 16step 16th note sequencer. today we need a lot of patterns for just to program our 64th DnB beats and melodies, in’nt? Eurpoa was designed to be utilised with our SQ8 and Oberkorn analogue sequencers (and anything else with a compatible clock input). Either use the main sync out or one of the seven trigger outputs to clock your analogue sequencers. Have them step whenever you like by programming triggers into the Europa sequencer. You can have 2 sequencers play alternately. You can mute the track so the Oberkorn/SQ8 sequencer stops! Use another trigger and you can activate the reset feature of the Oberkorn/SQ8! – Ein Lauflichtsequencer. YouTube	– Europa hardware MIDI sequencer demo with blofeld & dr670.